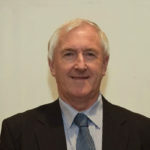 Cllr Pat Dunphy has been a member of Kilkenny County Council since 1999 and was Cathaoirleach of the council in 2013/14. Since that time Pat has helped and advised on many issues such as, road repairs, flooding issues, housing, planning advice, water supply, waste water, housing grants, unfinished estates, health and medical cards, social protection, agricultural issues and many more. Some of the bigger issues Pat has been involved in over the past few years has been the county boundary campaign, no pylons campaign, Tower Road Junction and many other smaller campaigns. He is very supportive of the 24/7 Cardiac campaign for Waterford University Hospital. Pat worked in Bausch & Lomb, Waterford for many years where most of his time was in Inventory management and storage and was Logistics Manager in the distribution area. He now works with Minister of State John Paul Phelan TD as his assistant. Pat is heavily involved in the GAA both at club and county level. He is grand nephew of Bob O’Keeffe former President of the GAA. He has refereed at local and inter county level and has officiated at 6 Kilkenny County Senior Hurling Finals, Leinster Minor Hurling Final, Ulster Minor Hurling Final, Railway Cup Final, 23 division 1 National Hurling League games among many others. Pat’s principles include being easily available, committed to working hard for his constituents, being dependable and reliable and to give good straight advice. Pat is asking for your No1 vote or highest preference so that hopefully he can be re-elected to continue to be available and working for you in the Piltown Electoral Area.